It's people that make up a community, and so we should get to know the people in our community. 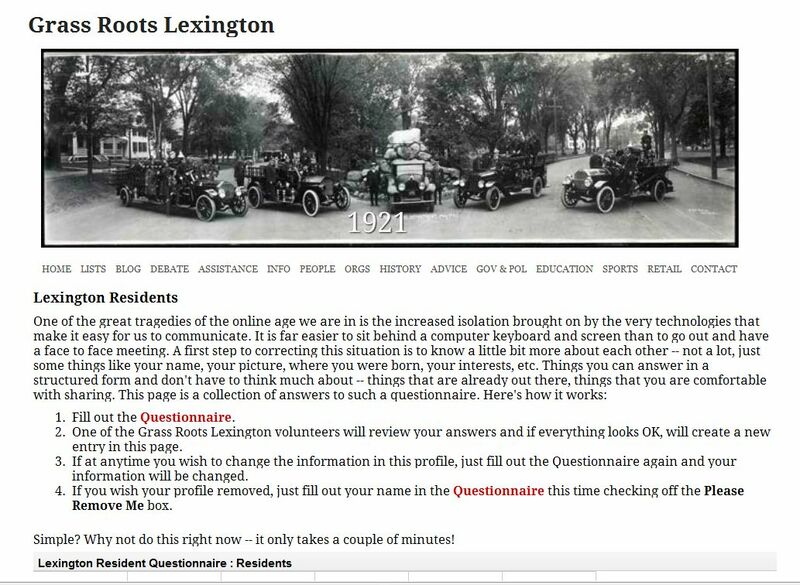 If I could manage it, I would love to start a community-wide project to get at least pictures and names of as many people as I could in the Lexington Community. With the ability to have many people working together on their own time, in their own spaces, this could be done. That picture was a great way to start Lexington's 300 Anniversary! This is a list of people who have provided information about them selves to this website. 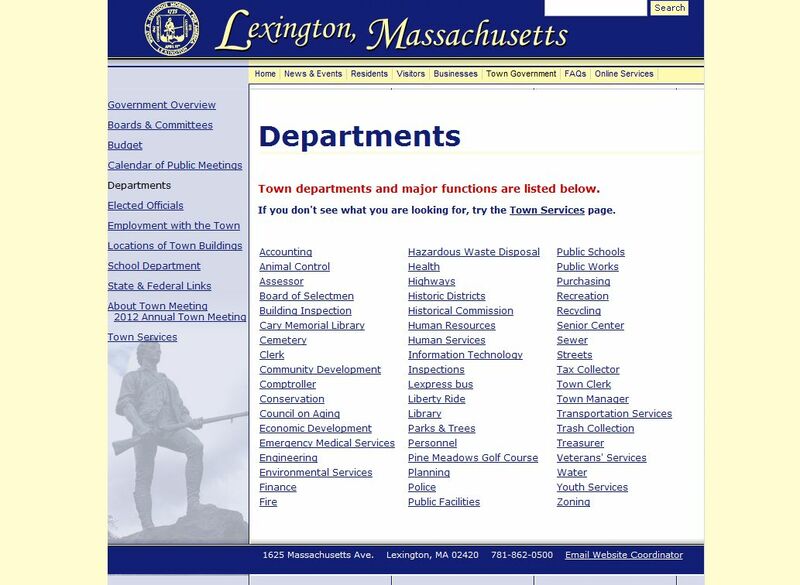 This is the page on the Town Website that lists all of the departments in the Town Government. Links to specific departments lists people in those departments. 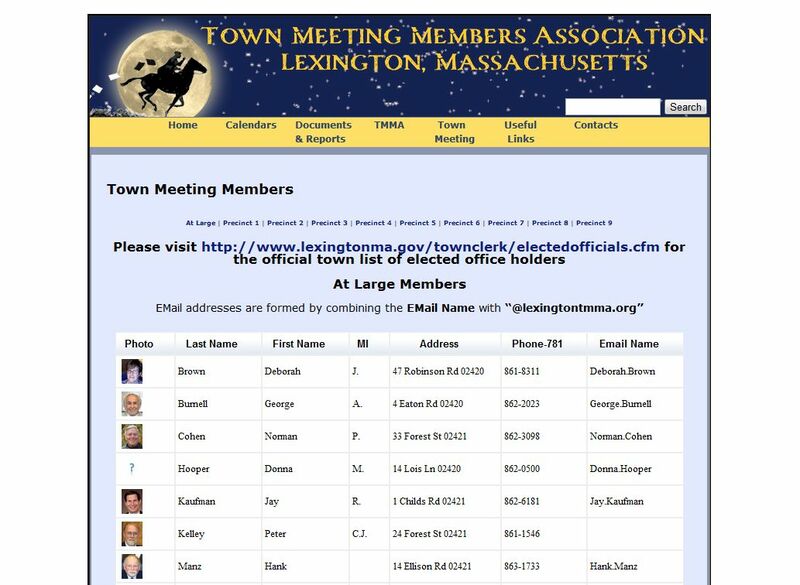 Members of the Lexington Public Schools are listed in a different area (see the next item on the next line). 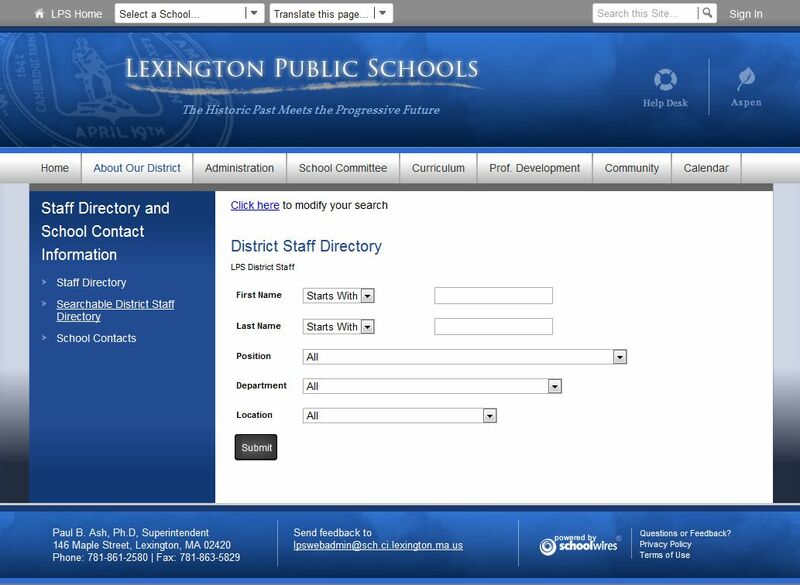 I am very impressed with the relatively new Lexington Public Schools website and the ability to get a complete listing of the staff of each school and the school administration -- including email addresses. 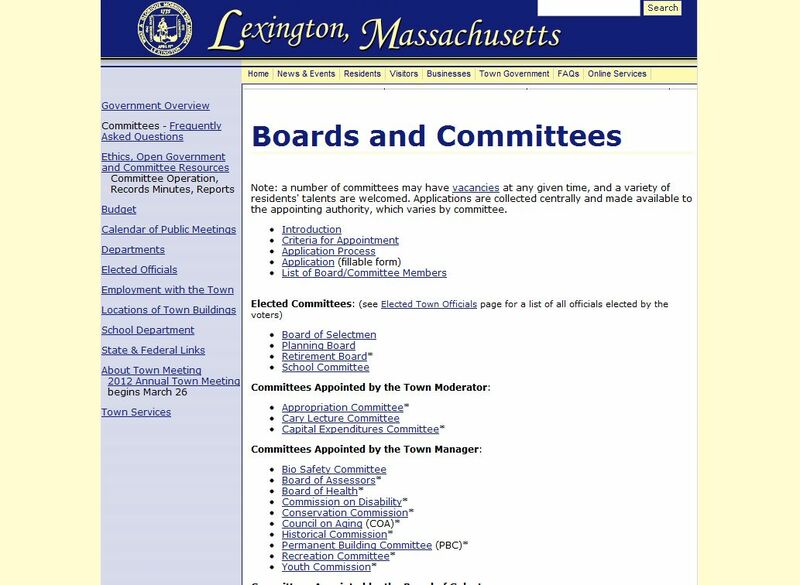 It would be great if the Town Government organization would provide a similar consolidated directory. To get a complete listing of the staff of any single school, go to the top of the page, select the school, and then go to the Faculty&Staff tab and then select the Staff Directory menu item. Now, without making any selections, click on the Submit button. You will see a list of the entire staff of the school you have selected. To get a complete listing of the School Department staff click on the LPS Home link at the top left of the page, click on About Our District and then click on Searchable District Staff Directory. Now, without making any selections, click on the Submit button. You will see a list of the entire staff of the School Department. This is an impressive display of the members of an organization -- complete with pictures. Nice job, TMMA, showing us how to create a directory that encourages engagement from the public at large.